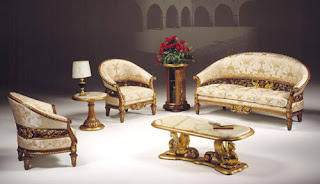 Antique Italian Living Room evokes images of the feasts of ancient courts and the majesty of a fabulous world. 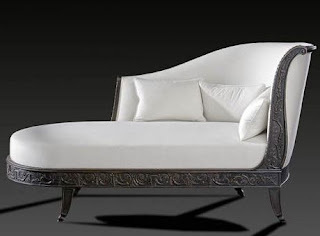 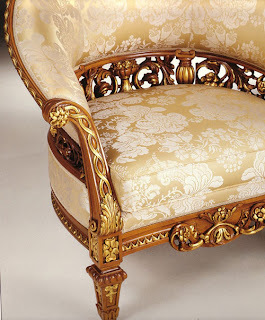 Thus, this antique living room takes the mythical beast and introduces it as a symbol of rich carving which gently opens in an embrace enveloping all the seats. 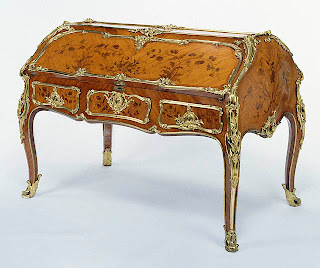 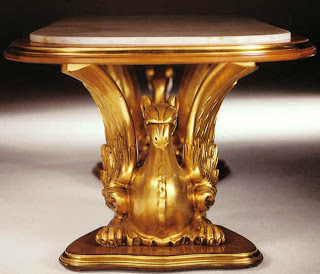 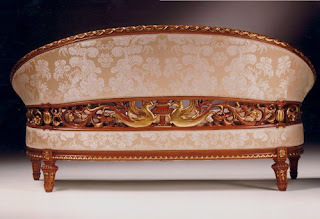 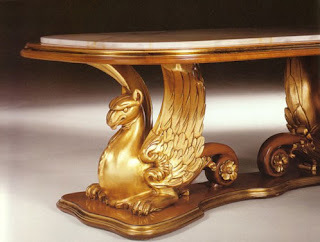 In addition, the detailing of the table base features the precise carving and a gold leaf work characteristic of only the finest reproductions pieces.